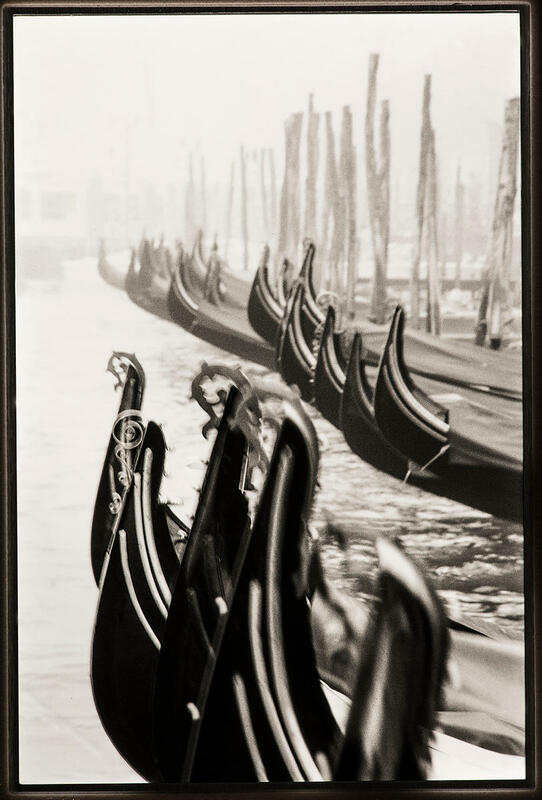 Venice 1998: £792 including UK VAT: Edition of 25: Paper: Hahnemuhle Baryta FB. Venice and Paris have probably been my most visited as an assigned travel photographer. During the days of film I always ran a third camera loaded with black and white (in this case Ilford Delta 400 and a Nikon F3 HP). I had no outlet for the BW work so archived it uncut ... for about 20 years. Hand framed using a black hard wood moulding on a contrasting soft white mountboard. Printwork includes the original keyline as shown.